Prior to the 1912 Presidential elections, the majority of the African Americans in the United States were Republicans. Many of them left the Republican Party to vote for Thomas Woodrow Wilson. Wilson promised the African Americans that he would help them if elected. Once Wilson became President, he reneged on his promise to help African Americans. Instead, he supported the Jim Crow laws in the south, and brought more Southern Democrats to his Administration that supported Jim Crow. The President did not interfere with the Jim Crow laws and the activities of the KKK. Before Woodrow Wilson became President, he was president of Princeton University from 1902 to 1910. He used his influence after he became the United States President to prevent African Americans from attending Princeton. African Americans were disappointed, but that did not discourage them in their dedication to their Country. When the Country entered War World I, many of them enlisted in the military. 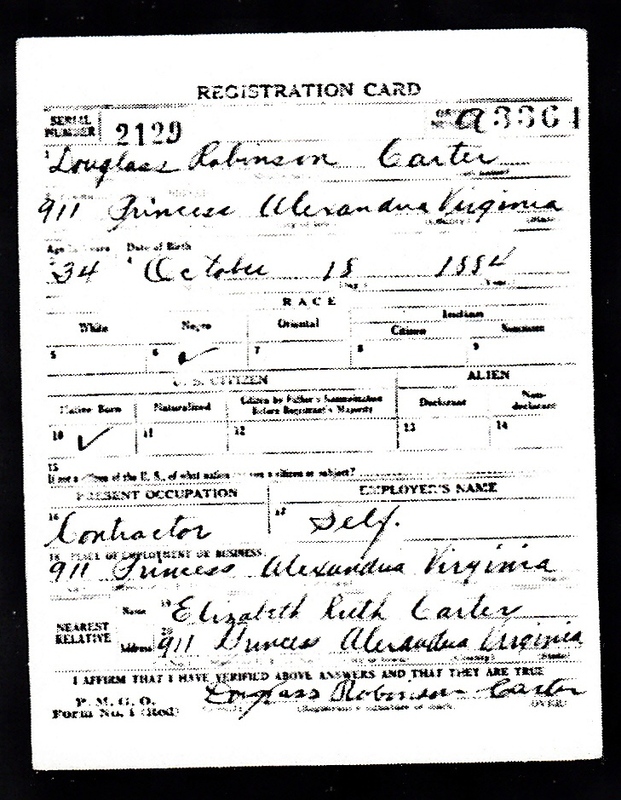 Alexandria African Americans proved their loyalty by signing up for the draft like many other African Americans did throughout the United States. They were segregated in the military; but they still entered the military in large numbers. Below are the African American Alexandrians with the “C” surnames. This entry was posted in Black People of Alexandria and tagged Alexandria Black WWI, Blacks in WWI, Surname C. Bookmark the permalink.